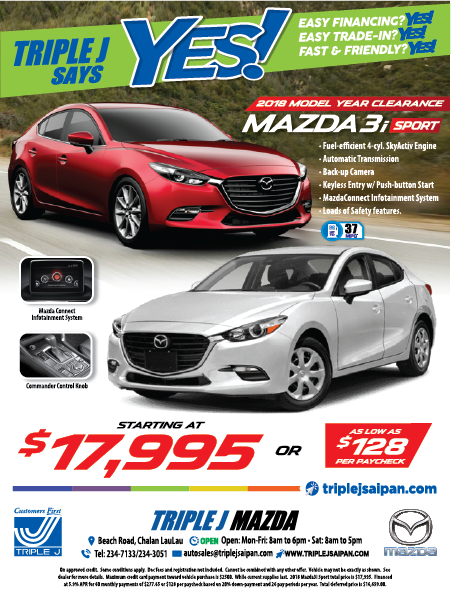 If you’re looking for the best new car best deals in the CNMI, then you’ll want to head on over to Triple J Saipan to check out our current new vehicle specials. Our exclusive offers are always changing so check back often to find the deal you want on the exciting new Hyundai, Mazda, or Mitsubishi vehicle that is the best fit with your lifestyle. 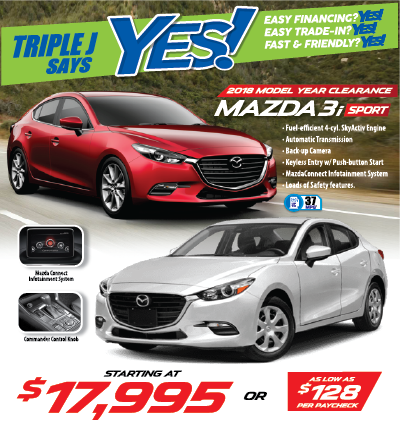 Explore our new vehicle specials in Saipan, then contact us to schedule a test drive today! Why wait? Take advantage of our current new vehicle specials, and visit our dealership near in Garapan today!